Home » Soccer » EPL – Can Liverpool stay top into the New Year? EPL – Can Liverpool stay top into the New Year? Palmerbet Sports Team look at high-flying Liverpool, who have edged Manchester City off the EPL top spot. But how long will it last for Jurgen Klopp’s men? Liverpool have entered the festive season with much cheer. 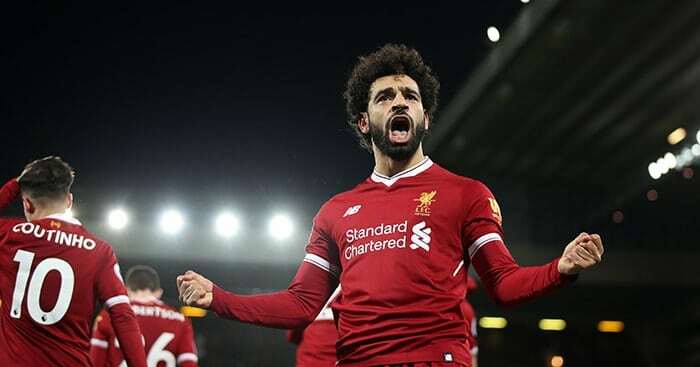 They’re on top of the table, they scraped through an exceedingly tough Champions League group, and Mo Salah is banging them in again. In fact, they’ve shortened into $3.50 with Palmerbet to win the title. What’s not to like, Reds fans? Most supporters, however, are keeping a lid on things. They’re all too aware of Liverpool’s 28-year EPL drought, and won’t go jinxing it any time soon. Jinxes aside, how long will they remain table toppers? With a tough Christmas period of four games in 14 days, and a relentlessly ambitious Manchester City breathing down their necks, can they stay there into the New Year? Woke up this morning and couldn't find my Liverpool mug to go and make a cup of tea. Turns out it was on top of the table. We asked a few weeks back who out of City, Liverpool and Chelsea would stay unbeaten longest. It didn’t take long for us to have an answer. Chelsea’s loss to Spurs a fortnight ago, and then City’s loss to Chelsea on the weekend left just Klopp’s side without a number in the ‘L’ column of the table. Bravo. Man City’s unbeaten Premier League streak is OVER. It’s the cliche to end all cliches; yes, we know the entire EPL season is a marathon and not a sprint. But Liverpool fans would be getting slightly giddy – albeit not letting on – that they’ve leapfrogged a more fancied rivals down the road. City have actually drifted, ever so slightly, with Palmerbet on the EPL title market. As short as $1.24 a few weeks ago, they are now $1.35 to claim English football’s highest prize. Liverpool on the other hand have been big movers. At the same stage, Klopp’s side were out to $5 chances to win the league with Palmerbet. Two more wins later, and they’re into $3.50. Impressive stuff. It’s a real testament to the progress #LFC have made under Klopp that they’re sitting at the top of the table, unbeaten in the opening 16 games and ahead of what is an outstanding Manchester City side. While they’ve entered December with festive cheer, the Reds have plenty of hard work to do. In fact, their tenuous hold on top spot is already under threat this weekend when they face fierce rivals Manchester United. While United’s season has been far from smooth, this game almost always throws up curveballs, irrespective of the respective sides’ current form. It’s an old-fashioned grudge match, and Klopp will be wary. Liverpool start as strong $1.57 favourites with Palmerbet at Anfield, however. While United showed promising signs in their rout of Fulham last weekend, they begin as $6 outsiders. Liverpool’s Christmas fixture list is rough. Must win game vs Napoli to stay in the CL, then United, Wolves away, Newcastle, Arsenal, Manchester City, and Wolves away again. If they’re still top and in all three competitions after that I’ll be seriously impressed. It doesn’t just stop there, either. Next, they travel to Wolves who have been impressive in their return to the EPL this season. Liverpool again start as $1.57 favourites in that one, however it looms as a potential banana skin. After that, they host Newcastle and then Arsenal which rounds out a huge 14-day period with four games. The EPL is always brutal at this time of the year, with games coming thick and fast. Can Liverpool stand up to the challenge and remain on top of the table?